Since its inception sixteen years ago, Arts Mag has shone its spotlight on the artistic talents of the Collingwood body. We have celebrated art in a kaleidoscope of forms by showcasing the prowess of painters, drawers, graphic artists, orators, musicians, singers, actors, poets, writers, sculptors, photographers and designers. From budding artists to seasoned veterans, the students and teachers who have graced the pages of Arts Mag have shared their inspiration, their philosophy and their passion vis-à-vis life and the role of art. As the holiday season approaches, it’s an early Christmas gift for us to discover a whole new batch of artists as well as to have a number of new writers joining us. With its activities ranging from visual arts to public speaking, the Collingwood artistic community has, once again, not failed to impress us with its amazingly talented artists. We can’t wait to see what the rest of the year holds for us and what new artists we will discover among pages, canvases, and stages. So while you’re huddling up in fuzzy blankets with a mug of hot cocoa in your hand and a box of Christmas cookies beside you, we hope that you will enjoy reading about all the talented creative minds at our school. We hope you enjoy the Winter 2016 edition of Arts Mag and we wish you all a happy holiday season! Sian is extremely excited to be returning for her fourth year in the Arts Mag team. Aside from writing, her other passions include acting and dancing. Sian loves being able to share the stories of different artists through Arts Mag. This is Eva's fourth year in Arts Mag. She enjoys exploring the arts through calligraphy, graphic design, and quilling. Eva loves her role as a webmaster, as she enjoys designing the website, solving technical issues, and most importantly, seeing the work of an amazing team come to life. This year is Claire’s fourth year in the Arts Mag Committee. Claire is very passionate about art and about discovering artistic passions among her classmates. Claire loves eating and reading in her spare time. 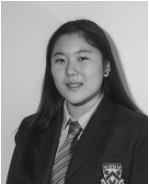 Claire enjoys being part of Arts Mag and hopes for the best in her last year at Collingwood. 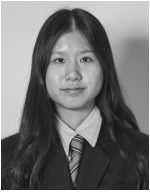 Kate Cho is currently in grade 12. She has joined Arts Mag this year to give back to Collingwood for all the opportunities she has gained in her nine years here. Kate enjoys acting and filmmaking in her free time. Tianna Lopes is in her final year at Collingwood School in grade 12 and has just joined Arts Mag for the 2016-17 school year. Tianna has joined this club because she is very interested in learning more about the local artists at Collingwood School! In addition to academics, Tianna enjoys playing ice hockey and will be continuing both of these in university next year. ​Ryan joined Arts Mag this year. He loves exploring the local area and photographing the beauty of Vancouver. He can almost always be found with a camera. 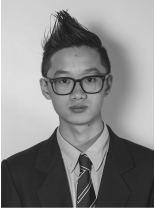 Minh Truong is a grade 12 at Collingwood, who has joined Arts Mag for the first time this year. She loves supporting and promoting the arts and learning about different media! Her hobbies include writing, reading, and having an undying love of chocolate. 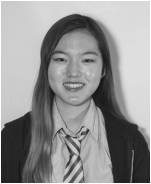 Angela joined Arts Mag in grade 11, and is very excited to be returning for her second year. She loves art and writing, and can probably be found enjoying her free time doodling, reading, or listening to music. This is Susan’s third year in Art Mag. She loves music and art and wishes to meet more great Collingwood artists. In her free time, she enjoys reading novels, watching TV dramas in other languages, dancing, drawing, and surfing the Internet. Suha joined Arts Mag this year. She was interested in joining Arts Mag to get to know more about the artists at our school and to help showcase their talents. Her favorite subject in school is Art History. 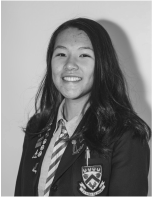 Jennifer Lo, usually known as J-Lo, is a grade 11 student who is thrilled to be part of Arts Mag this year. She enjoys reading, writing, and immersing herself in music whenever she has spare time. In addition to being a part of Arts Mag, she is also in the school's string orchestra ensemble, Model UN delegation, and is the Captain of the Admissions Ambassadors Team. Outside of school, Jennifer can be found playing the piano and taking care of her two baby siblings. Angela is a grade eleven student and a newbie to the Arts Mag team. 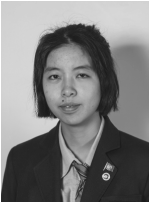 Having moved to West Vancouver in grade eight from Shanghai and having transferred to Collingwood in grade ten, she can’t imagine being at a more wonderful school. She hopes to learn more about this lovely community by getting to know some of its most talented artists through Arts Mag. Angela is also involved in Ad Verum and Science Club. In her spare time, she enjoys reading, writing, drawing, and attempting to learn Braille. This is Daisy’s first year as a member of Arts Mag. She has a big passion for all forms of art and is very excited to be a part of the team! In her free time, Daisy is often found drawing, reading, or playing volleyball. This is Selina’s second year at Collingwood. She enjoys creating graphic designs and digital paintings in her free time. She is new to Arts Mag this year, and she looks forward to meeting student artists and helping to capture their talents. Jenny is passionate about the arts, her involvement including choir, band, drawing, and photography. She spends her free time practicing the flute and downhill skiing. Laura joined Arts Mag last year. She loves to read, dance, and write in her free time. For her, writing is a form of expressing oneself through words written down between the pages. Sunny joined Arts Mag last year because of her passion in visual art and her interest in writing. She was deeply inspired by the works of the talented Collingwood artists, leading her to write again for Arts Mag this year. Michelle is currently a grade 10 student. She joined Arts Mag a year ago, hoping to share and deepen her love for the arts by writing about other artists. She loves visual art, especially oil painting. Her biggest passion is food. She enjoys cooking, exploring, and trying food from different countries and cultures. Although she likes all kinds of food, her favorite is ramen and dumplings. Chester is trying out some new things this year, so he has decided to write for Arts Mag. Chester has been a fan of art for the past three years and he might possibly pursue art as a career, but for now, he is happy to be a member of Arts Mag, writing about the amazing artists at Collingwood. The reason why Michelle joined Arts Mag is simple. She is very passionate about the arts and is heavily involved in the arts: she loves singing, dancing, and music. Even though visual art is not a strong subject for her, she enjoys visiting art galleries and learning about the ideas behind all the beautiful artwork. Once she heard about Arts Mag and that there was an opportunity to write and discover all of the thoughts behind the artwork of Collingwood artists, she immediately joined, knowing she was going to enjoy it. This is Eve’s first year in Arts Mag. She joined Arts Mag because she is incredibly passionate about the arts. Eve is from Montreal, Quebec – a place booming with different types of artists. Eve is a part of Arts Mag also because she would like to broaden her horizons and meet new people who have a love for the arts, just like her. This is Lily's first year with Arts Mag. She is excited to be part of the team and to get to know the many talented artists at the school. As a violinist and pianist, she is very passionate about the performing arts, particularly music. An avid reader and writer at heart, Clara joined Art Mag this year with an aspiration of exploring the diverse fascinating field of creativity. Retaining a lofty ambition of becoming an acclaimed author, she is thoroughly thrilled at the prospect of journalism; and she hopes to flourish in the continual inspiration of Collingwood’s artistic society. Yasmine Karim is a grade 8 student. This is her first year in Arts Mag. She enjoys paddle boarding, kayaking, creating art, and swimming. Yasmine enjoys learning about art students and different art initiatives taking place around the school. She is very happy to be joining Arts Mag and is looking forward it. Chloe has been at Collingwood for seven years. This is her first year in Arts Mag, but she was part of the CW5 team in Grade 5. She is enthusiastic about the arts, and participates in both band and choir. She plays the clarinet and was part of the musical last year. Chloe also enjoys writing in her free time, and loves learning new things about her fellow artists.